A moist buttermilk banana cake topped with a sweet, buttery crumb topping, drizzled with a simple vanilla glaze. A craveable cake your family will love. 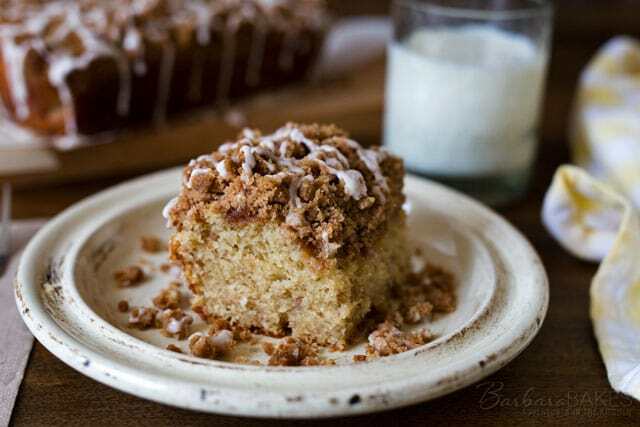 This Buttermilk Banana Crumb Cake recipe is from a fun, new cookbook, The 8×8 Cookbook, by Kathy Strahs the creative, talented blogger behind Panini Happy and Cooking on the Side. 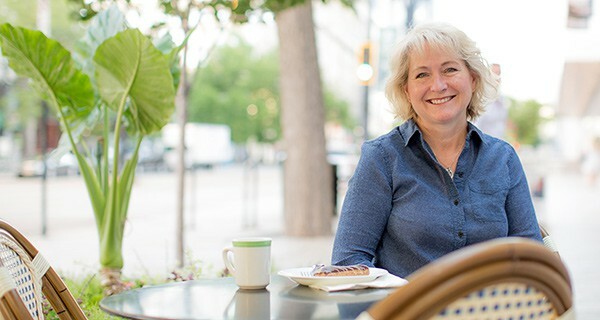 Kathy uses the 8×8-inch square pan to create easy one-dish meals, side dishes, desserts and more. One of the great tips in the cookbook is lining the 8×8 pan with parchment paper. I buy flat sheets of parchment paper and use them frequently when baking on baking sheets, but never thought to use them in a 8×8 pan. All I had to do was fold in the edges and it gave me handles to easily lift the cake from the pan. Once it was out of the pan, I was able to make some pretty drizzles along the edge. 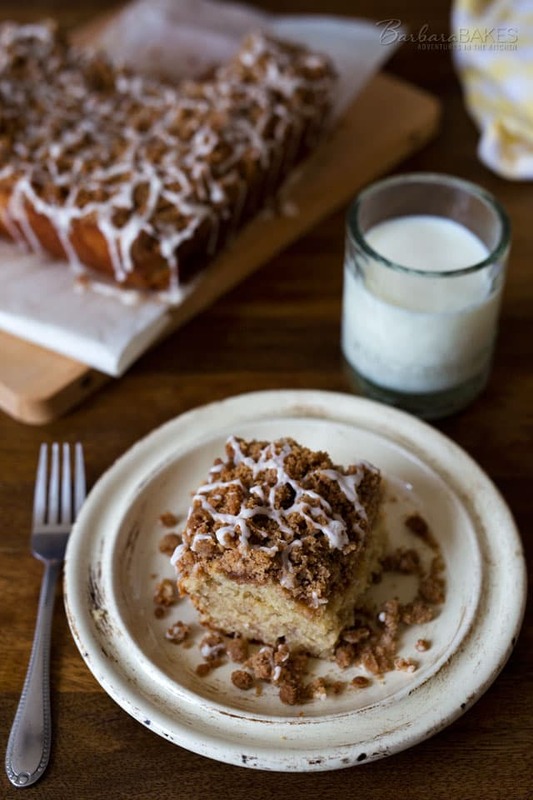 The recipe in the cookbook doesn’t include an icing, but icing is a must have on coffee cake at our house. 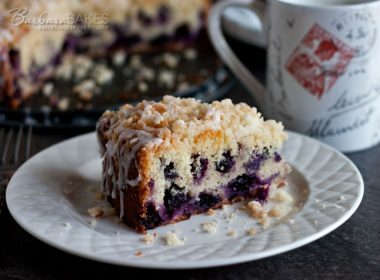 My kids are big coffee cake lovers, and this one was a big hit. My oldest son said, “You could make this again.” And I joked, “you know I don’t make things again.” So he said, “well don’t you need to make it again to get it perfect?” Sounds liked I’d better make an exception and make this one again soon. Preheat oven to 325° F. Line an 8x8-inch glass or ceramic baking dish with parchment. Alternatively, for a metal pan, heat the oven to 350° F and prepare the pan in a similar manner. To make the topping, whisk together flour, brown sugar, sugar, cinnamon, and salt. Stir in melted butter with a fork until moist clumps form. Set aside the topping. 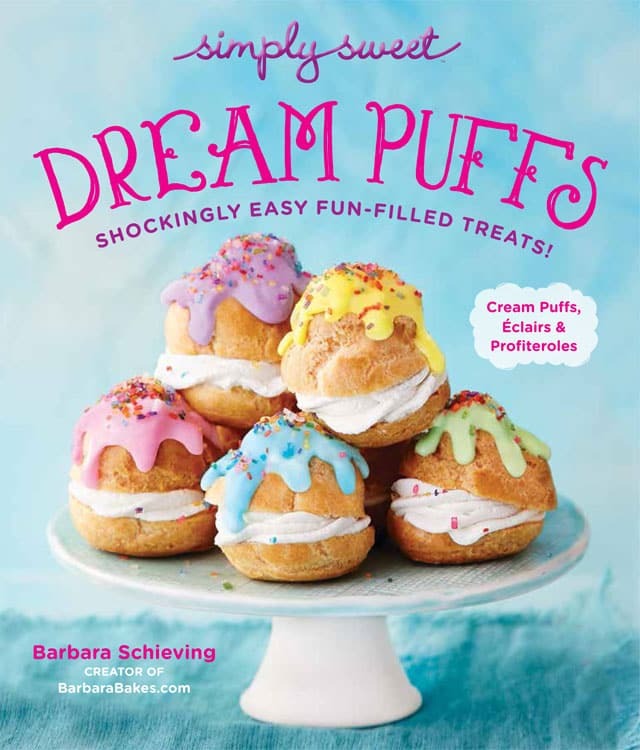 For the cake, whisk together flour, buttermilk powder, baking powder, baking soda, and salt in a medium bowl. In a large mixing bowl, cream the butter and sugar together. Add eggs, bananas, milk and vanilla and mix until well combined. Mix in the dry ingredients just until blended. Pour the batter into the prepared pan. Scatter the topping, in clumps, on top of the batter. Bake 55 to 60 minutes until a toothpick inserted in the center comes out clean. To make the icing, whisk together powdered sugar, water and vanilla until smooth. Drizzle over warm cake. *The original recipe used 1/4 cup buttermilk. This coffeecake is in the oven as I type this….always try to take a “homemade” goodie to my son/daughter-in-law’s when I make my weekly drive to babysit my little granddaughter….had bananas in freezer I needed to use…..I do think maybe I should’ve used a 9×9″ pan as the batter and topping completely filled the 8″ pan…..hoping it doesn’t spill over! Thanks for the recipe…. 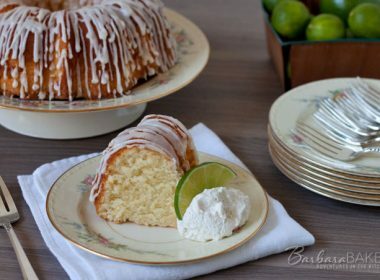 What a beautiful cake Barbara…I’m surely gonna try it and if it turns out well in my first test would carry it for my husband he would love it. He stays out of city and I’m sure this would be a beautiful surprise for him. 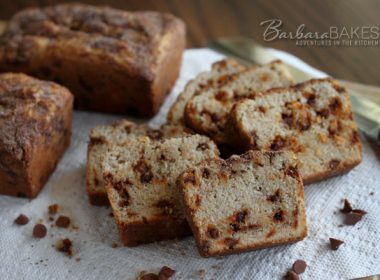 I adore banana cake but never thought of putting a topping on. I will certainly be trying this next time I bake this cake. I adore bananas and banana flavoured things. I make similar buttermilk cake. 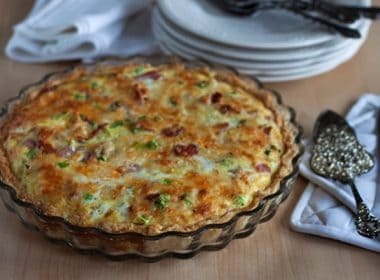 I add chopped rhubarb on the top – before placing the topping. It is one of my favourite – sweet, spongy and a bit acidic from rhubarb. If I wanted to make this less sweet, could I sub honey in for the white sugar? Hi Kacie – I wouldn’t recommend substituting honey in this recipe. You cream together the butter and sugar to create volume so the cake is light and airy. I am just now seeing this! I am so glad you guys enjoyed the coffee cake, and I love the icing addition! Great cake! I love crumbs. Can’t wait to try it out. Pinned. Barbara I made this coffee cake this morning. There is no sugar measurement mentioned in the ingredients, but there is in the directions. I added 1/2 C. Could you check to see if it was left off? I am sure it is going to be delicious no matter what! Hi Richelle – thanks so much for letting me know I left it out of the ingredients list. I’ve updated the recipe. You’ll have to let me know how you like it. Thanks! A tempting cake! Beautiful texture and great crumb topping. It looks so lovely! The texture is perfect and moist! I love it! Boy this sure looks yummy! could buttermilk replace buttermilk powder and milk? Hi Gayle – I meant to put that in my post. The original recipe called for 1/4 cup buttermilk but since I had buttermilk powder on hand and not buttermilk, I substituted 1 tablespoon buttermilk powder and 1/4 cup milk. One of my all time favorites! Can’t wait to try it. This sounds so good. I always enjoy these Crumb Cakes, and they are even better with buttermilk. And the banana just puts it over the top! 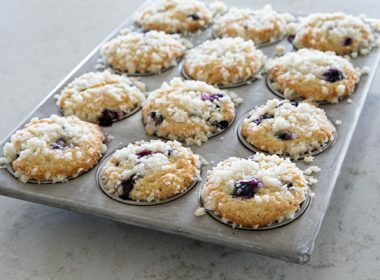 What a great breakfast or snack treat. I LOVE small cakes like this one-they’re perfect for the 2 of us. I can keep some here and share some with our next door “empty nesters” neighbor. The next time I have bananas to use up, I know what I’ll be making. 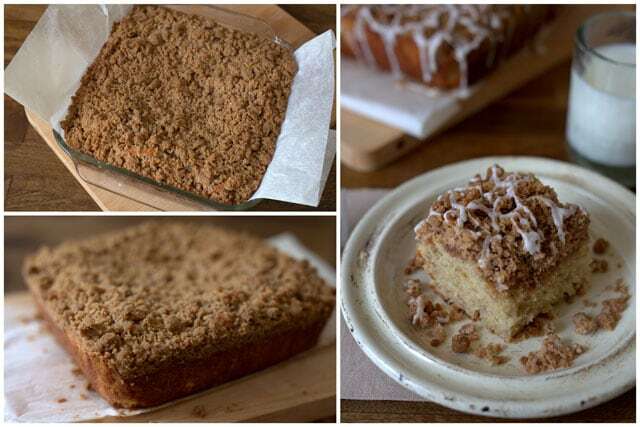 I adore coffee cake-especially with a nice crumb topping….MMMMMmmmm! You’ve got that right Carol – he gave it his best try. This cake sounds incredible! LOVE that topping! Thanks Katrina – that topping really makes the cake special.